Arizona Gov. 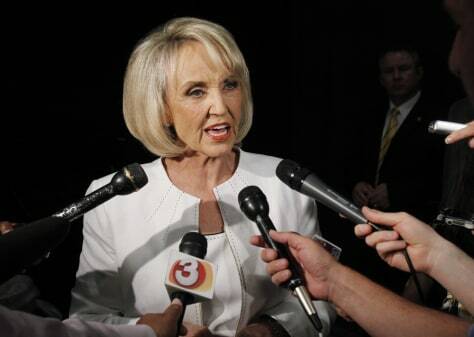 Jan Brewer speaks to the media in Phoenix. Brewer's main rival, Yavapai County businessman Buz Mills, announced he will stop campaigning for the Aug. 24 primary.